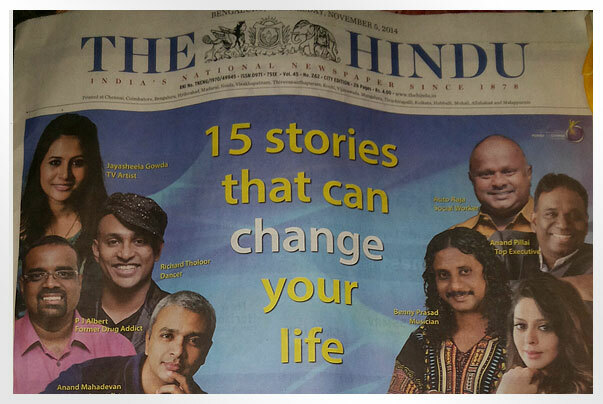 Albert PJ's life changing story is featured in The Power to Change campaign advertisement published on the front page of The Hindu. 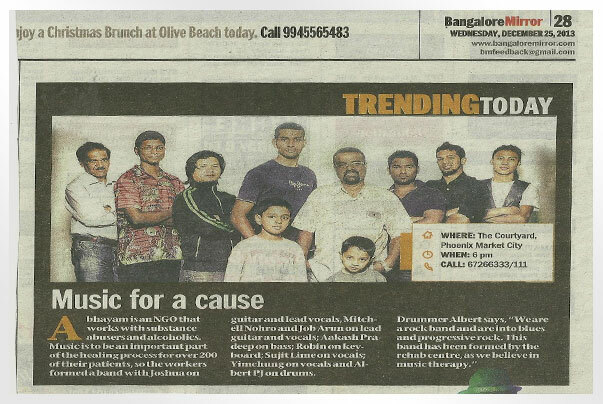 The Abhayam Band is featured in the Bangalore Mirror for it's performance in Phoenix Market City, Whitefield during the Christmas season. Albert PJ's is interviewed again by The Times of India on International Day against Drug abuse. 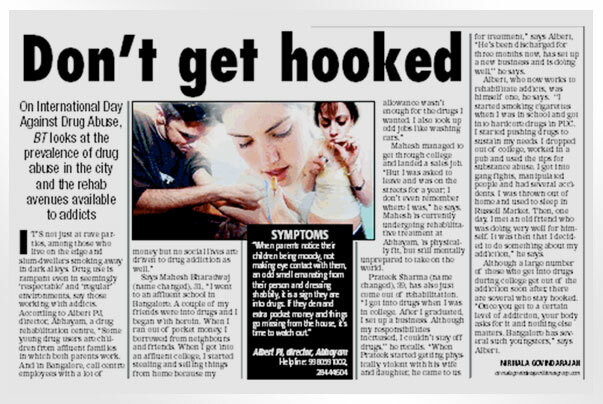 Albert PJ's interview was published in Bangalore Times on International Day against Drug abuse.